The place where u found the L-Trigger Happywas that in the electronic section or somewhere else? My store has the main display right at the edge of the video games section (basically video games, dvds, then Skylanders). 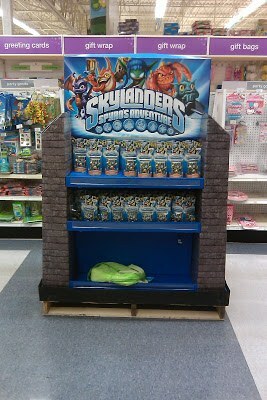 There were several racks of LTH there and then that little pallet display was just in line with the Skylanders display. Went to Davenport IA TRU yesterday at opening. Had many Dragon's Peak APs (20 or more) and lots of Legendary Trigger Happy. No other APs. Only one or two different triple packs in low quantity (no Legendary). They had one of those cardboard aisle displays well stocked one side with DP AP and the other containing lots of singles. Didn't see Cynder, Lightning Rod or Zook. So I was able to acquire Stump Smash (finally), along with the DP AP. I already ordered Dragon's Peak from TRU.com so I'll probably return that to the store. Took advantage of the 50% off sale a couple weeks ago to grab the 3DS starter pack for the figures. Now just missing Empire of Ice, Lightning Rod and Zook. Very nice. I think DP will be much easier to come by than LR or Zook. I haven't landed them either. Good call on the 3DS Starter Pack. Ignitor single will be hard to get too. Idk if it is still up, but Amazon had Empire of Ice for $19.99 last night...I FINALLY got it ordered for a friend. I have still not seen it or Cynder locally either. Good luck on LR and Zook! I checked Amazon.com earlier tonight and Empire of Ice was out of stock. A few minutes ago I got a text message & email from Wiialerts.com indicating it was in stock and have just finished placing an order for Empire of Ice. They seem to have the other Adventure Packs as well (except for Dragon's Peak). Nice, I've got one coming too...tried since Jan to land one for my friend. Mine will be here Monday...tonight when I ran around I found one locally for the very first time...go figure. 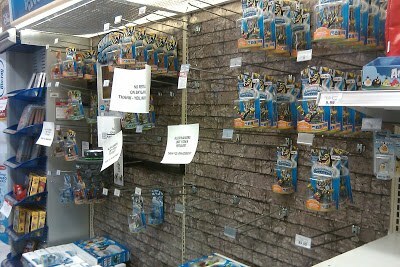 I found a Dragon's Peak at my local TRU yesterday (3/27/12). But it wasn't around the Skylanders. It was hidden behind Barbies. Good thing I was with my cousin or else I would have never found one. 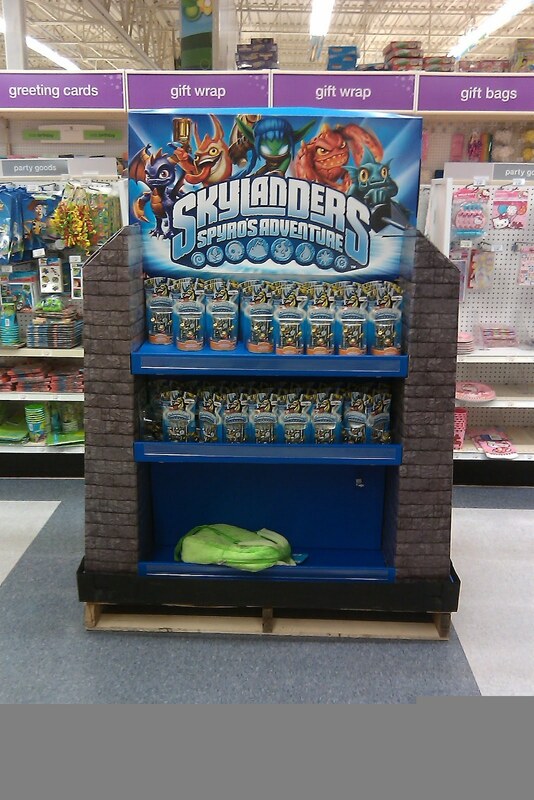 Now this leads me to thinking that people are hiding the Skylanders around the stores and then returning to buy them. There's also a large ammount of LTHs here too. I've seen that. The Gold Flameslinger I got was stashed with the Dino-Rang Triple Pack behind the PC Starter set, lol. I just make a habit to check. Going all that way to stash something is pretty bad, but worth checking if you have the time. Very cool you found it...I bet it was someone who bought one, and stashed the other for a cohort, lol. 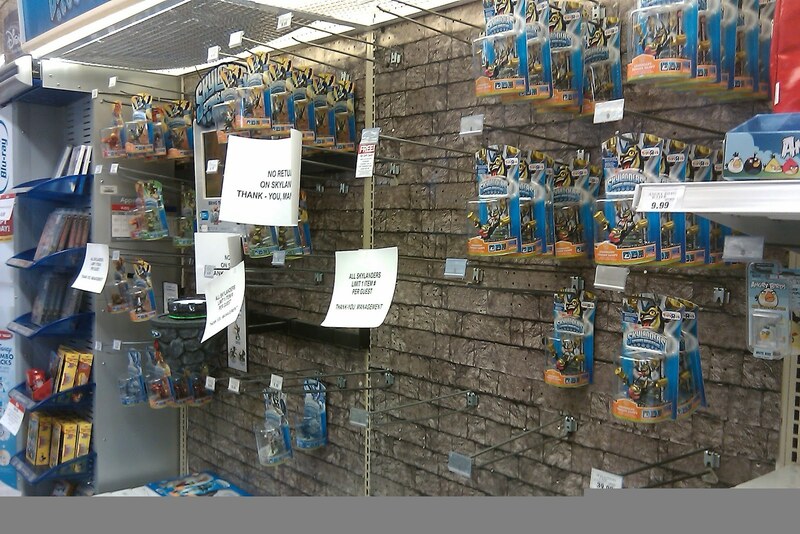 I miss K-Mart, had two back in the day, they both left town back like 2000 or so here :( I have yet to see a Wave 4 locally, and shockingly my TRU hasn't had any Dragon's Peak APs since the 3/25 launch which I find odd. I figured it would be stocked all the time in their exclusibe window...Glad you got EoI though, I think it is the hardest to find by far. I was watching a video the other day call skylanders 101-Whirlwind and the guy that does reviews games and at the end of the video he takes about how whirlwind is a target exclusive. Then said it meant stop being a target exclusive. In the US Whirlwind was to be a Target exclusive and Drill Sergeant a Walmart/Sam's exclusive. I still have the "Only at Target" Whirlwind pictures. I am personally still upset about that as I tried for months to get Drill Sergeant and finally did...then a few weeks later he is everywhere and in a Triple Pack with Double Trouble. What miffs me the most is that they now sell singles of both everywhere (GameStop, TRU, etc). I have never seen any thing from Activision where it was said to be "timed" like we have with Dragon's Peak. And with the Legendaries we know they understand "exclusive." It is blatant misrepresentation of the product and deceptive marketing...I went into detail on it awhile back.